Good morning, the sun is shining brightly here today and I know Spring is just around the corner. 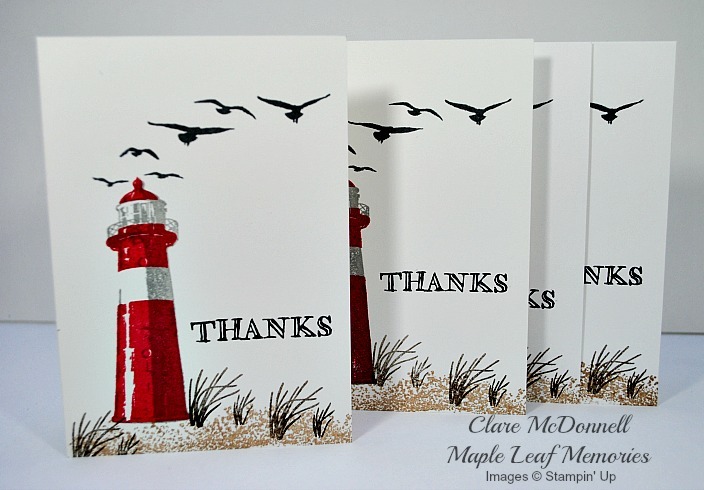 Once the weather gets warmer and the days get longer, I can't wait to start spending more time outdoors and one of my favourite things to do is go to the beach, so I was excited to receive my High Tide stamp set this week and I decided to use it straight away to make my customer thank you cards for last month. I stamped the lighthouse image in Real Red and Smokey Slate ink and used the base image upside down with Crumb Cake ink to give the idea of a shingle beach. 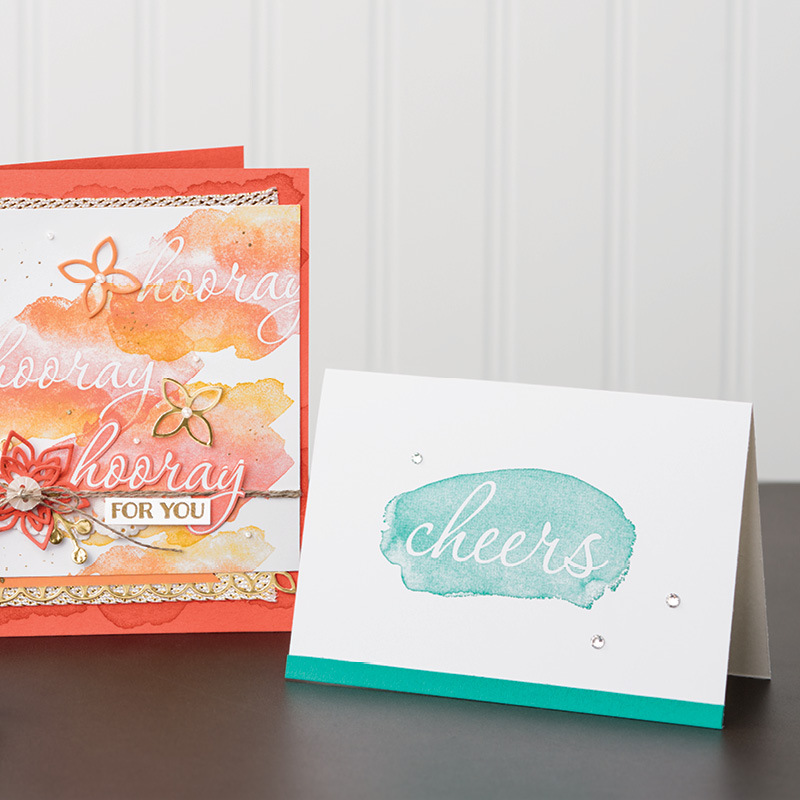 The sentiment comes from the Helping Me Grow stamp set. 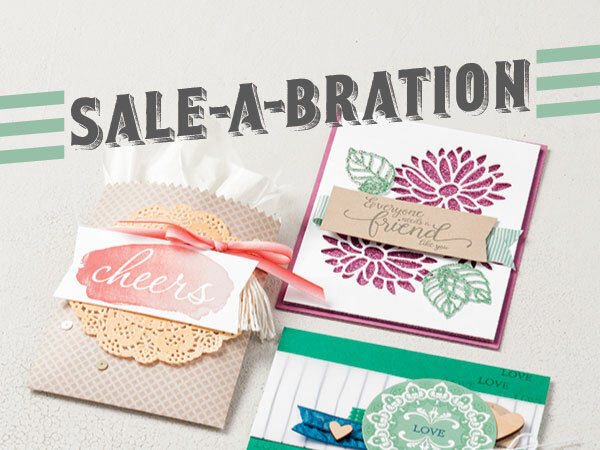 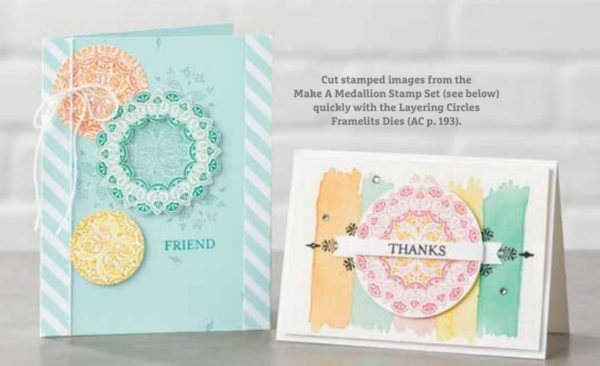 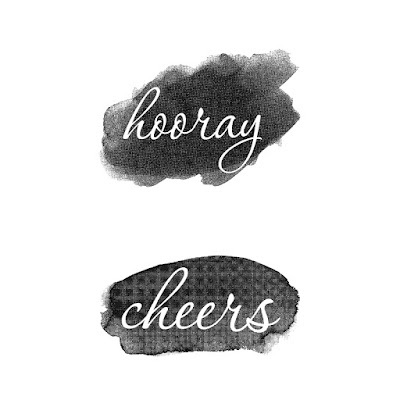 Did you know there has been a second release of Sale-a-Bration Freebies? 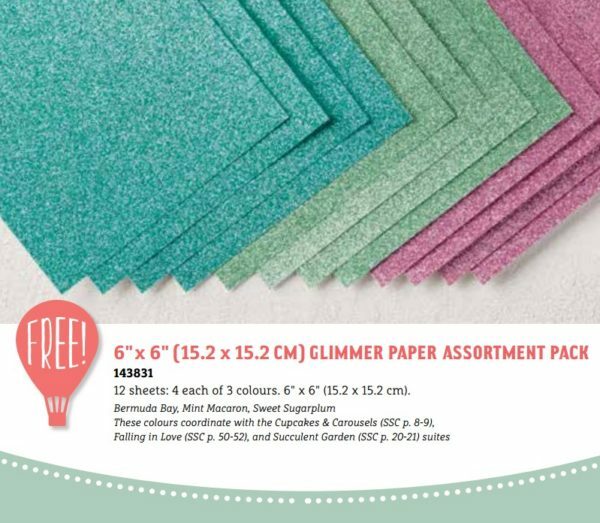 These products are in addition to the 12 items already available, although all products are only available while stocks last! 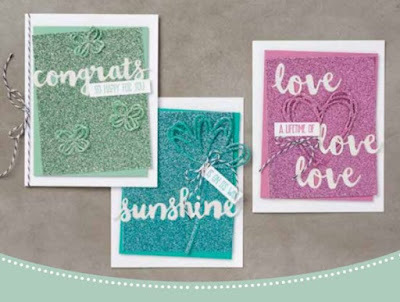 There are two stamp sets and the most stunning Glimmer paper which I think will be a big hit, I can't wait for mine to arrive! You can choose a FREE item with every £45 spend, so spend £90 and choose two, spend £135 and choose three but if you spend over £150 you will also earn 20% Stampin' Rewards to spend on products of your choice. 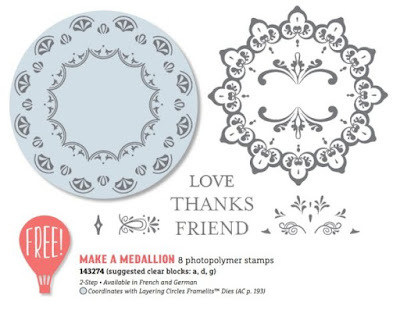 Don't forget to use the Hostess Code for March when ordering which is AS4UBXNZ and receive a thank you gift from me.